Fiji is a land of ancient rituals, such as the yaqona ceremony, which is still enacted as it has been for centuries. Visitors, who are regarded as honoured guests, are often welcomed to take part in these solemn occasions. 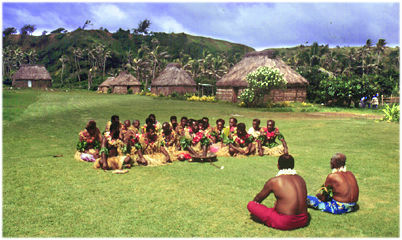 The Fijian culture is based on the well-being of extended families where the interests of the group are always regarded as above those of the individual. Fiji's rich cultural heritage is composed of many diverse elements which includes the way of life of it's indigenous Fijian people and others who for the past 190 years have made Fiji their home.